TechCrunch – Digg Acquires Kevin Rose Side Project Wefollow. TopRank’s CEO Lee Odden was shown as one of the top 10 SEOs on Twitter according to the new wefollow ranking alogorithm. SmartBrief on Social Media – 10 time-tested ways companies can use social media. TopRank’s Adam Singer posted ten ways social media has proven it’s worth and the story was picked up in the “Takeaway” section of SmartBrief. 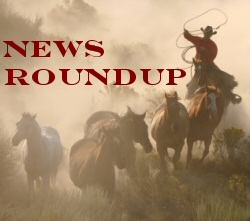 The post was also picked up by socialmediaBiz, Alltop HolyKaw, Ragan’s PR Daily & Technorati – Hottest Small Business Blog Posts. Well done Adam! Social Web School – Top 60 PR Experts to Follow on Twitter. TopRank’s CEO was included in this list of public relations practitioners on Twitter. Alltop Holy Kaw – Five tips for making your corporate blog outshine the rest. TopRank’s Michelle Bowles’ post on TopRankBlog was cited. MediaPost Around the Net – SEO Stats Provide Ammunition For Naysayers. TopRank CEO was cited for a post on Online Marketing Blog. Click Documents – Great Content Marketing & Social Media Marketing Quotes 2009 (ppt deck). 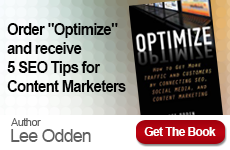 TopRank CEO Lee Odden was included in this aggregation of Content Marketing quotes. Interleado Blog – Top 10 Worldwide SEO Blogs. TopRank’s Online Marketing Blog was included in this list of the top blogs covering search engine optimization. the BeanCast – Fascinating convo about the different kinds of SEO. Audio interview at DMA09 in San Diego about search engine optimization for lowering costs as well as increasing online sales. Sophisticated Finance – Social Media Strategy in 4 Words. 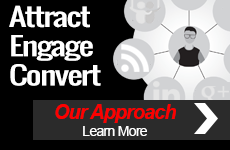 TopRankBlog was cited as the inspiration for this blog post on social media strategy. If you’re looking for this kind of online PR visibility for your company, be sure to contact TopRank for a Social SEO & PR consultation. 1-877-872-6628 or here.